In my household, we are just starting to gear up for another camping season! 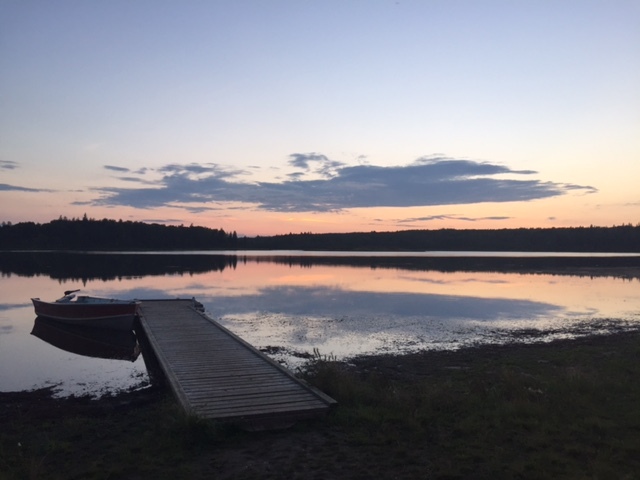 I’m still dreaming of my travels last summer to North Buck Lake Provincial Recreation Area. 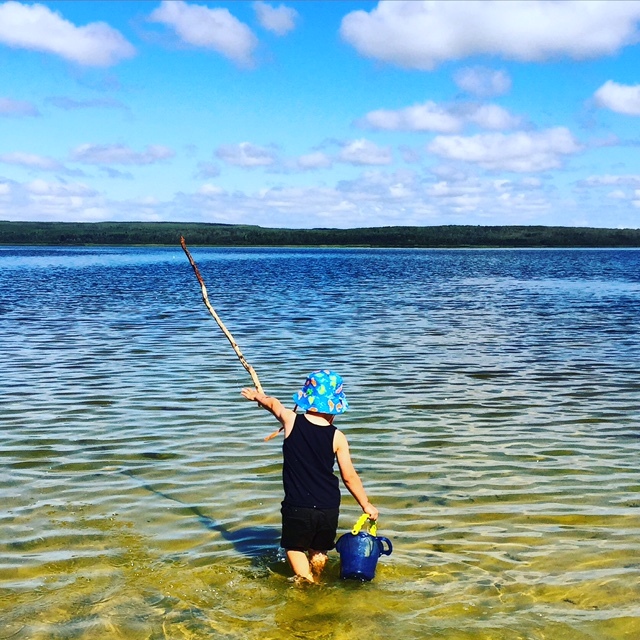 Perhaps it was the glorious weather we had or maybe it was the fact that I conquered my first camping trip completely ALONE with my 3 year old, whatever the reason North Buck Lake Provincial Recreation Area will hold a special place in my heart for years to come. 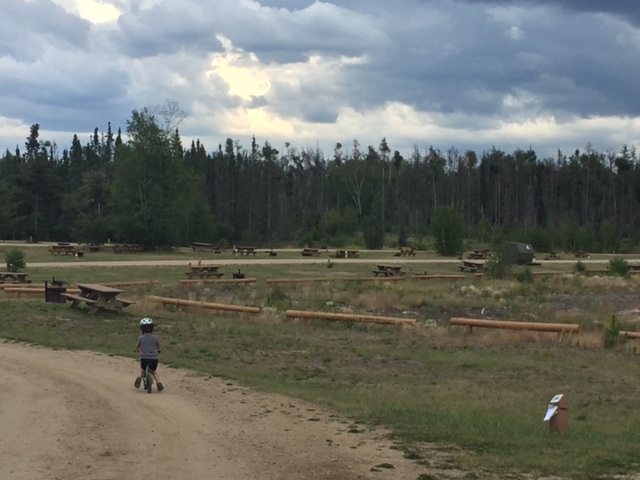 Here’s some information to know about the park, so that you can plan some epic memories this summer in Northern Alberta! First, this park is more isolated than I had anticipated. Though it is only 20 kms away from Boyle, Alberta you are really on your own with only a small general store in the nearby village of Caslan. Do not confuse this park with Buck Lake (that one is south of Edmonton) North Buck Lake is just under 2 hours north of Edmonton in Athabasca County. Originally I was hesitant about the lack of nearby services, but I quickly realized that this means relaxation because there is no pressure to go do all the things! We walked the trails, enjoyed the beach and simply existed without feeling pressured to check out touristy things. Campsites at North Buck Lake Provincial Recreation Area vary in size and privacy. There are 2 areas, one with power and one without. For the first time that I can recall, in an Alberta Parks campground, the power sites were more treed than the ones without. While a lot of the sites are quite open (read: no trees in between) they are great for socializing and travelling with groups. Also, many of the sites are waterfront- having a gorgeous view it makes up for it! Check the map on reserve.albertaparks.ca before you book as there are some truly beautiful sites. When we visited we camped mid week and stayed in site 20. This was close to the bathrooms and had a trail right down to the best sandy beach I’ve seen in a while. While there were no trees on the one side of the site it didn’t matter as there were maybe 10 families camping in the entire park! If you are looking to be close to the playground and in a more open setting the non powered sites are where you want to be. The beach! I was absolutely impressed with the beach and swimming situation at North Buck Lake Provincial Recreation Area. 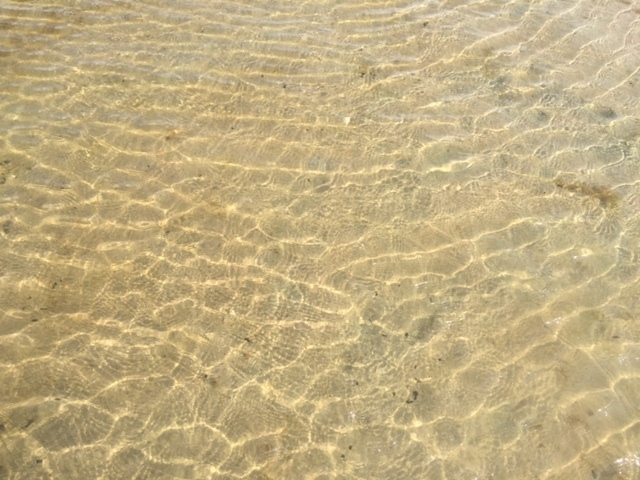 There is thick powdery white sand and most of the lake has a smooth sandy bottom, perfect for little feet. The water was the clearest I have seen in any central/northern Alberta lake all summer, hands down! Be cautious as the lake does drop off quickly in some spots. You can access the water from many areas (beach in the day area, beach by the playground in the non powered sites, boat launch area, etc.) BUT the best swimming spot, at least the summer of 2016, was just down the trail from site 20 or at the day use area. Minimal weeds and the best sand, in my opinion. 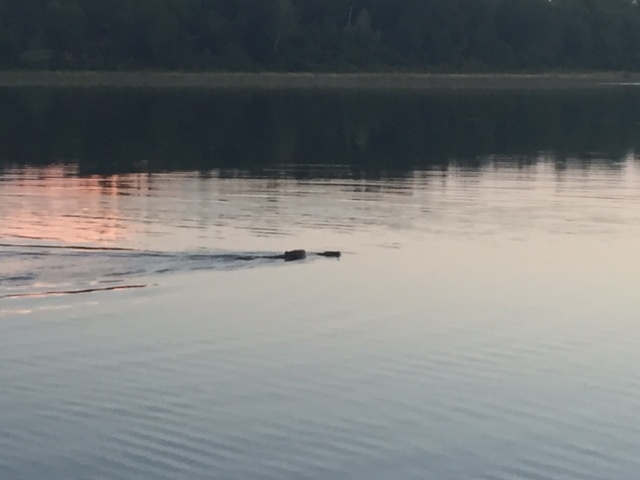 A few of the other spots could easily put off potential swimmers as there seemed to be a lot of weeds in other areas, so make sure you check out my recommendation if you go and keep in mind lake water quality in Alberta changes from year to year! Wildlife! As I mentioned North Buck Lake Provincial Recreation Area is isolated, and this leaves lots of opportunities for viewing wildlife. 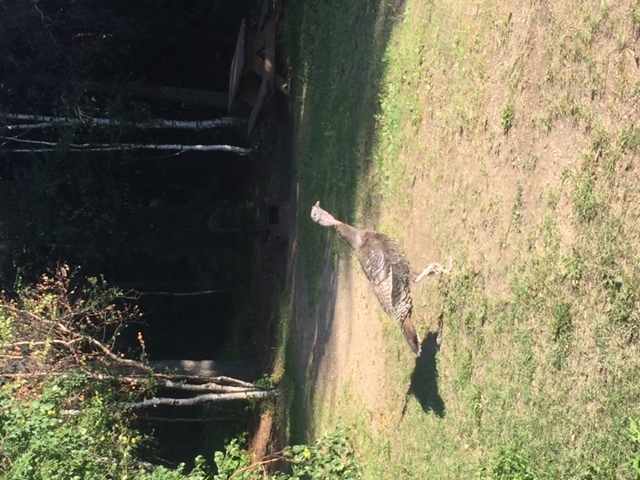 Each night we heard the hauntingly beautiful call of loons on the lake, enjoyed hearing coyote howls, saw 2 beavers collecting wood, viewed a deer in the bushes, came across a group of prairie chickens while on a walk and even saw a turkey one evening! As a family we haven’t yet tried fishing, that’s for this year I think, but I did see lots of campers trying their luck from boats or off the dock. There is a day area with fire pits, picnic tables, pit toilets and a beach as well. The lake, on this side, seems to be receding a lot so we were able to walk out a long ways on flat sand that at one time was the bottom of the lake. This made for a really fun adventure! 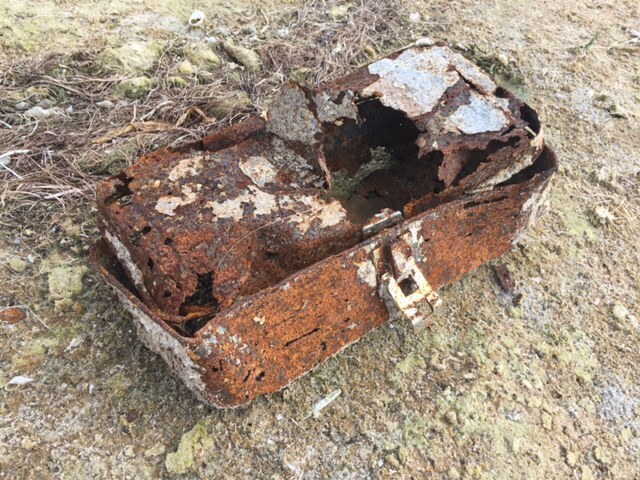 We found seashells, fish skeletons and even an old tackle box that must have fallen out of someone’s boat years ago. My 3 year old loved every second of his exploration and was always finding new treasures. Plan to bring your own water. There are 2 well water hand pumps, but Alberta Parks can not guarantee the quality of the well water and when we arrived neither were currently working. I didn’t even think to check the map for services, so we ended up driving back to Boyle to fill up at the municipal campground. There’s a machine that takes quarters and we filled up our trailer for less than $2 with town water. I’m so thankful for the fellow camper who told us this, the camping community is so friendly and helpful! 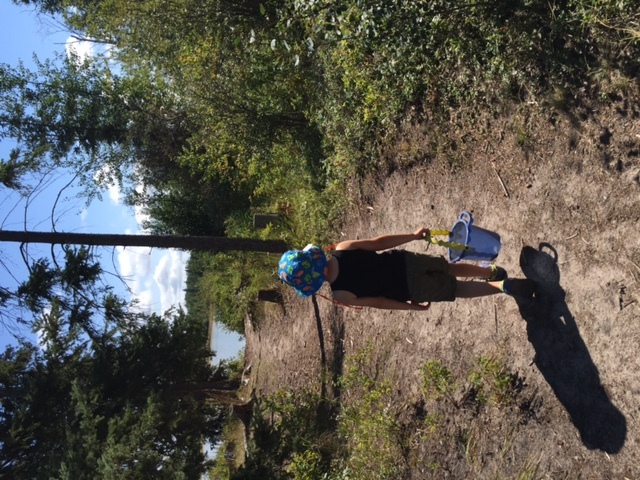 There is no sani dump at North Buck Lake Provincial Recreation Area. This isn’t a huge deal though because the town of Boyle has a free dump that runs parallel to highway 63, on the edge of town. I found it by using this great website that helps you find out where Alberta sani dumps are wherever you need one. There are no showers. We were in the clear waters of the lake everyday, so this didn’t bother us, but you might want to bring extra wipes! Also, pit toilets only. These were attended to daily and so clean! Pick up some firewood before you get to the park. 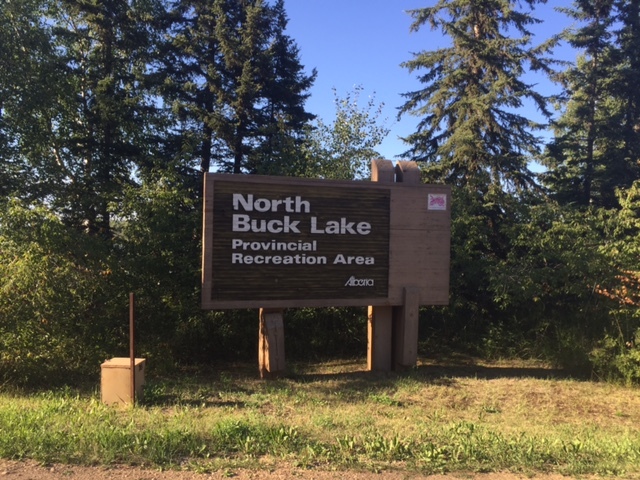 North Buck Lake Provincial Recreation Area has staff in the area daily and there is wood for purchase, but if you arrive when no staff are on site you will be sorry! 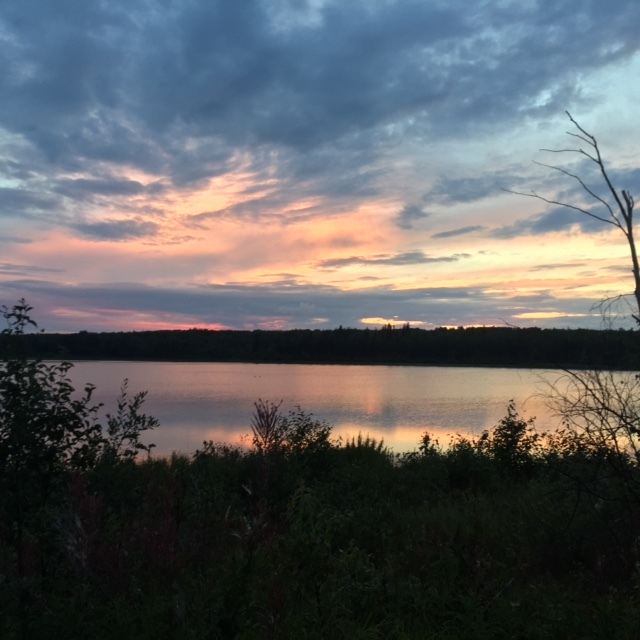 For more information about North Buck Lake Provincial Recreation Area or to reserve a site, log on to the Alberta Parks Reservation System. Questions or comments? I would love to chat! Send me an email at everydaygirlyeg@gmail.com. *I was chosen as an Alberta Parks Ambassador and as such promote exploration and discovery of Alberta Provincial Parks. To check out all of this year’s Ambassadors, click here.